It’s been another busy term! 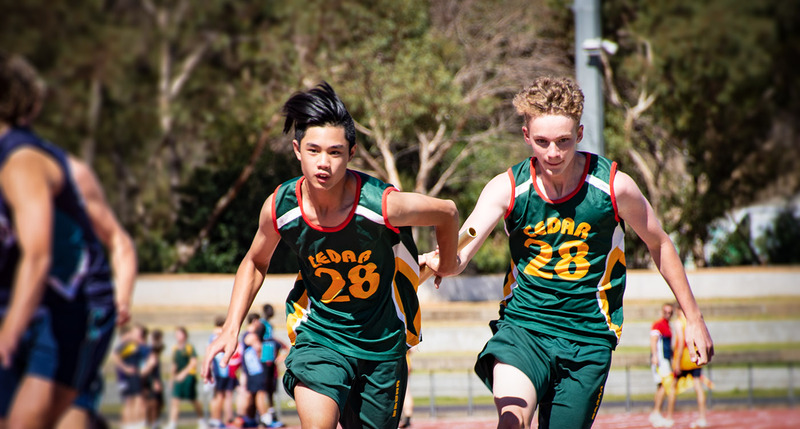 Our final two weeks of Term 1 continue to be filled with activities such as camps and Interschool Athletics. 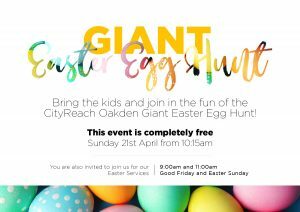 But then comes the Easter break. Most of us get to enjoy at least a four day break over Easter. It’s a great time to spend with family, perhaps get away, and hopefully stop and rest for a short while. What’s really amazing is that Easter celebrates something that happened over 2,000 years ago, that changed everything. Pastor Jeremy’s article this week reminds us of what this four-day break is really all about. Our Primary School students, as well as some of the High School students, have been reflecting on the question “Jesus is…” and are creating some special artwork, which will be displayed in the Cafeteria on Good Friday. Read all the details here. 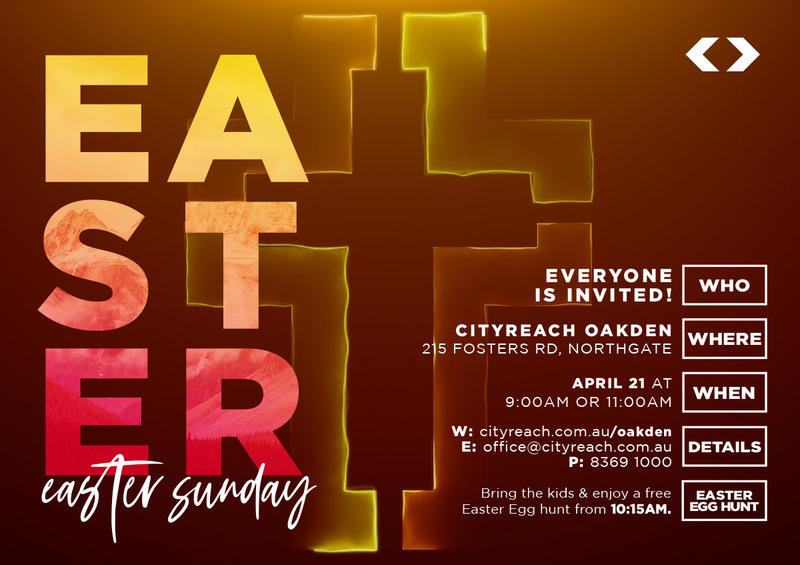 Easter - unexpected and unsettling, or happy-ever-after? 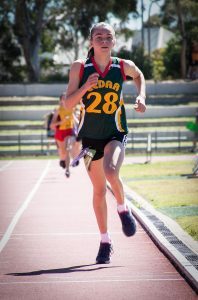 Gould goes back-to-back with an Upper Primary Sports Day win! Everyone loves a story with a happy-ever-after. It’s what we’re all trying to make for ourselves, but sometimes the story takes an unexpected turn. An open, vacant tomb in a graveyard, and three women running away in terror. That’s the last scene in Mark’s account of the life of Jesus. It’s more like a horror movie than a happy-ever-after. It’s unexpected and unsettling. But then as you track back through the pages you realise that this is exactly what Jesus had predicted. And that it’s just what we need. Jesus said that it’s impossible for a person to save themselves. It’s impossible to make our own happy-ever-after. “With people it is impossible, but not with God. For all things are possible with God,” (Mark 10:27). Here’s how: Jesus said he would be killed and after three days, rise again (Mark 10:34). He said that he came to give his life as a ransom for many (Mark 10:45). And so we find ourselves back at the tomb he said would be empty. It’s here that we finally see that God’s idea of a happy-ever-after is so much better (and lengthier) than ours. We put everything into building a happy-ever-after out of the few short years we have to live. So when the unexpected happens – tragedy, failure, injustice – our hopes of a happy-ever-after are shaken. And that shaky hope quickly turns into anxiety. Or sadness. Or anger. Because our years are not getting happier, they’re getting harder. But Jesus’ empty tomb is a window into a new and lasting hope beyond death. It’s an unshakeable hope in a happy-ever-after that won’t end. It’s a hope that outlasts the unexpected setbacks of life because it goes beyond life. It’s a hope that only comes from putting everything into hoping in Jesus Christ. “Praise be to the God and Father of our Lord Jesus Christ! In his great mercy he has given us new birth into a living hope through the resurrection of Jesus Christ from the dead,” 1 Peter 1:3. 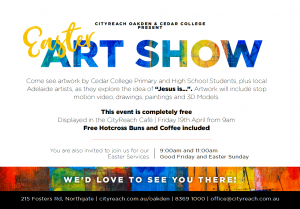 Students in the Primary School, and some in the High School, have used their Art lessons to explore the question “Jesus is…” to create a special art exhibition which will be on display in the Cafeteria on Good Friday. In exploring this theme of Jesus, and Easter, the students have enjoyed experimenting with a range of mediums and techniques, to create their unique artwork. With a wide range of styles on display including paintings, 3D models, stop motion video and drawings, the exhibition has given students a chance to visually express their thoughts about Easter in a creative way. The Year 3 students (pictured above) came up with designs for a stamp, which they cut out of styrofoam in reverse, and then used the stamping block to create their final prints. 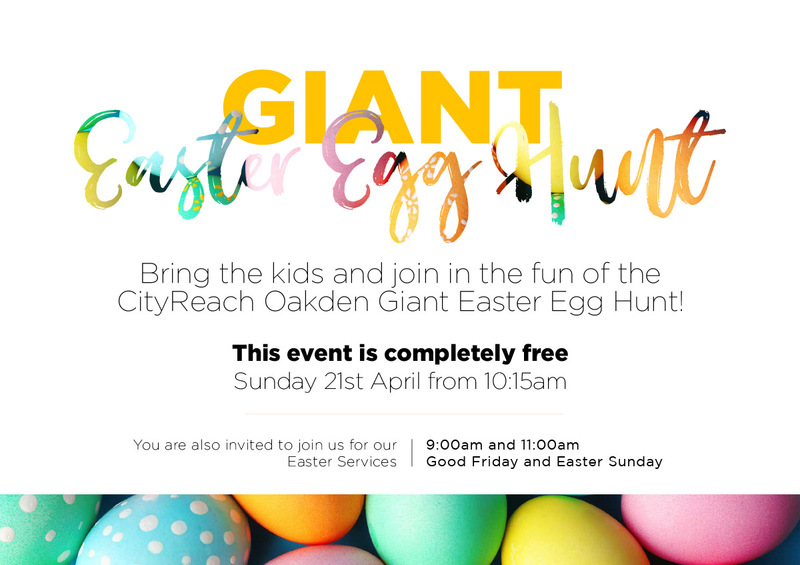 The exhibition is a joint effort with CityReach Oakden, and all of the students’ Easter Artwork will be on display in the Cafeteria on Good Friday. 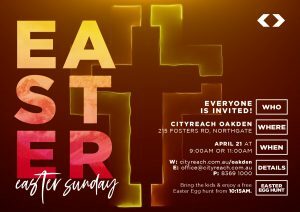 Everyone is welcome to visit the exhibition and the CityReach Good Friday Services on April 19 at 9am and 11am. The event is completely free along with free hot cross buns and coffee in the Cafeteria, while you view the art display. Click the invitations below for more details. Please note that lunch orders will NOT be available on the last day of term, however the Canteen will be open at Recess and Lunch for normal snack purchases. Please note the following Student Free Days and Public Holidays in Term 2. Monday April 29 is a Student Free Day. Students return for Term 2 on Tuesday April 30. 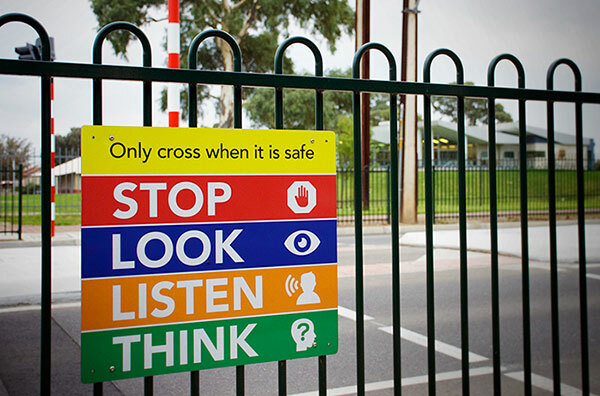 Pedestrian crossings, such as the “Koala Crossing” on Fosters Road, operate only when the yellow lights are flashing. A 25km/h speed limit applies between signs on the approaches to the crossing, when the lights are flashing. 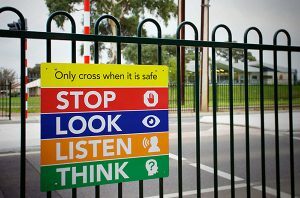 Any pedestrians using the crossing, however, should never assume that a driver has seen them or will stop for them, and instead follow the steps outlined on the crossing signage. LOOK in all directions for traffic. LISTEN to the sounds of traffic. THINK about when it is safe to cross. Always check that all vehicles have stopped and only cross if the road is clear. Art Department – Toys & More Wanted! Duplo, children’s blocks, toy Matchbox cars, small hard toys (no soft toys please), a small fishing rod (approx. child’s size), take away containers with lids. If you are able to help with any of the above, please drop them into the High School Office. 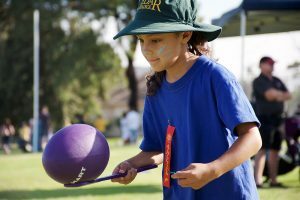 We are now receiving expressions of interest for After School Sports in Term 2. Please visit the Sports Centre Foyer or contact [email protected] regarding opportunities that are ongoing. The 2019/20 Entertainment books are now available to order. Printed or digital versions can be purchased via the direct link at: www.entbook.com.au/160006f (an online fee of .88c per book applies) or printed books (only) can be paid for via the Qkr! App. 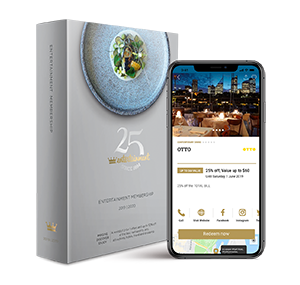 There’s thousands of offers including 2-for-1 deals, special rates and up to 50% off on dining, shopping, travel and leisure activities. Entertainment Books cost $70, with $14 from each sale going toward Cedar’s fundraising projects. Printed books will be sent home on May 3, for Primary School families to peruse. If you do not wish to purchase a book, simply send it back to school in Term 2. We have received information regarding the following community sports clinics during the holiday break. 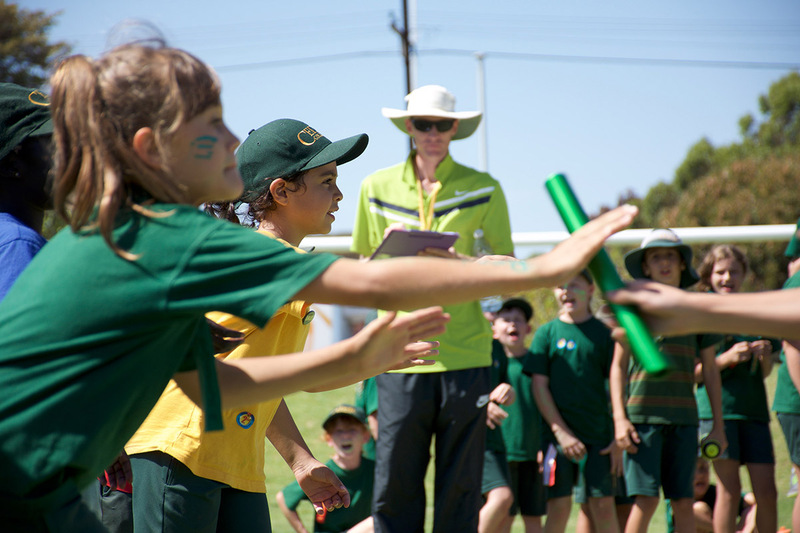 Featuring ANZ Hot Shots Program – FREE tennis racket for new students in Term 2 coaching classes! Monday April 15, Tuesday 16 and Wednesday 17, from 9am – 10:15am or 10:15am – 11:30am. At: Valley View Tennis Club, Elizabeth Crescent, Valley View. Cost is $30 for 3 days, $25 for 2 days or $15 for 1 day. Book in early to reserve your place and pay on the day. Learn how to play squash in a fun and friendly environment! School holiday lessons provide the perfect environment for beginners to experience squash for the first time. Grasshopper Soccer, a fun-filled, non-competitive and child focused soccer group, is returning to Cedar College in Term 2! Details: Cedar College, front oval, starting Wednesday May 8th, 3:30pm – 4:30pm. For students in Rec to Year 2. Cost is $85 (7 week program). The Primary School Assemblies and Chapels are held on Fridays at 8:55am. Parents and caregivers are welcome to attend, and tea & coffee is available beforehand in The Terrace. Odd weeks are Chapel. The Primary School oval was filled with excitement, energy and colour when the Upper Primary Sports Day finally arrived, on Friday March 22. 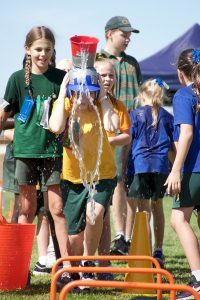 While it was a warm day in the sun, the students still ran, jumped, threw and got very wet; the latter generally being a highlight! 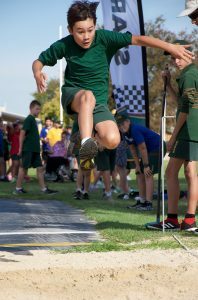 With the distance races occurring earlier in the week, classes focussed on the range of team and individual events during the morning. After the lunch break, all eyes were on the tug-of-war and relays, which would ultimately decide the winning team. 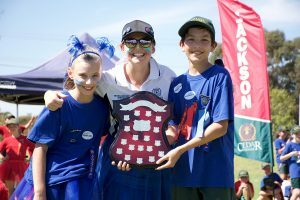 The surprise performance of the day belonged to the parents’ relay team, who finished first, with the closest finish on record between Mr Klassen (teachers’ team) and Mr Birch (parents’ team). Overall it was a great day and really encouraging to see so many students cheering on other competitors, waiting patiently for their turn during events, and also displaying great attitudes regardless the outcome of the event. 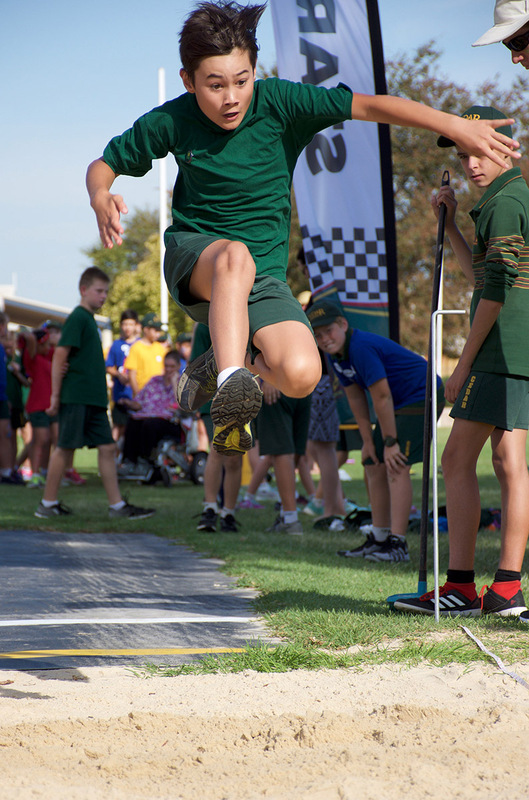 Well done to all of the athletes, particularly those who went home with a well-deserved ribbon. Thank you to all the parents, friends and family members who came to cheer on your students. 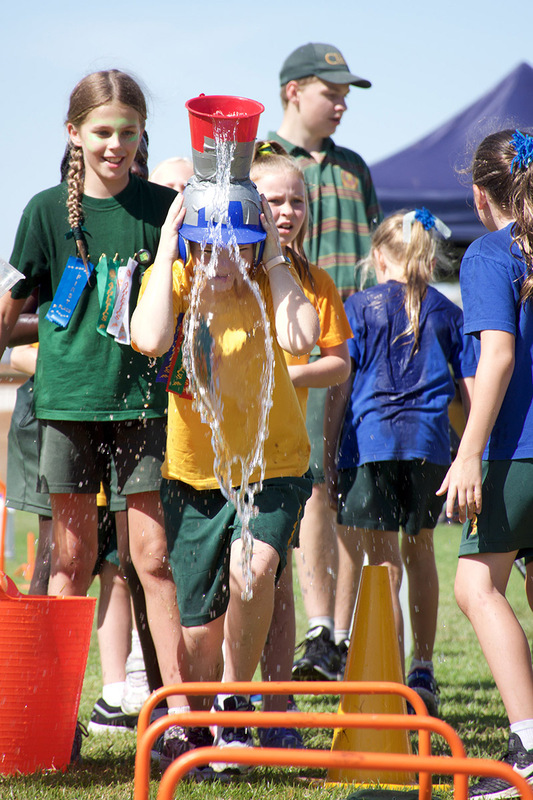 Our Bake Stall raised the most funds ever, $332.40, which will be added to the playground upgrade funds. It was also fantastic to have Pastor Jeremy and his team selling coffee and sausages, raising money for our Thailand service projects. After a day of excellent competition, it was a tight finish, but Gould came in 1st with 1196 points, Bradman 2nd with 1160 points, Jackson 3rd with 1058 and Laver 4th with 1000 points. Well done Gould on taking home the shield two years in a row! Click the video to relive the excitement, in under 60 seconds! As always, we couldn’t have the day without the huge effort from our maintenance team, Mr Marshall, Mr Garfoot, Mr Gardner and Mr Smith – thank you for all your hard work! Footsteps in the Right Direction! Our Upper Primary students have just completed a six week course run by professional dance company Footsteps as a part of their Performing Arts curriculum this term. 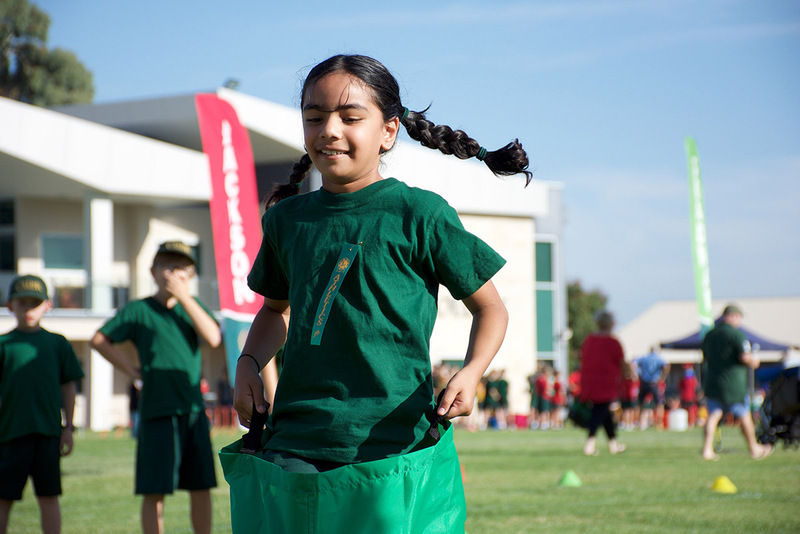 “In Term 1, the Upper Primary students have been doing Footsteps in music, to keep us moving! It has been really fun to do, and is something that we can keep doing in the future. We’ve been learning a few different types of dance and looking at dance elements like space, dynamics, our relationships with others, and how we use our body in dance. We have had a lot of fun and we were happy when we got to choose our own partners for the partner dance! It was a little tricky but we managed to do all the dance steps in the end. We are looking forward to doing it again later on. We loved having Footsteps this year! Thank you Mrs Webster!” – Madelyn, Year 6. Mrs Amy Webster, Performing Arts teacher. In Week 9 the Year 7 students went on camp to Victor Harbor, staying at the Adare Caravan Park. We did lots of activities and challenges in the three days we were there. 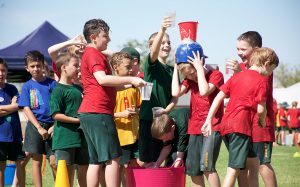 The three Year 7 classes were split into six tribes and were competing for a prize. Everyone needed to work together to get points for their team. There were three main things that enabled you to win points for your tribe: communication, including how well we communicated together as a team; participation, including how many activities our tribe did; and encouragement, such as finding ways to build up your tribe members. Every activity had points you could earn through those things. Other activities, such as quizzes, how well you listened and how well you did what the instructor wanted, also enabled you to win points. 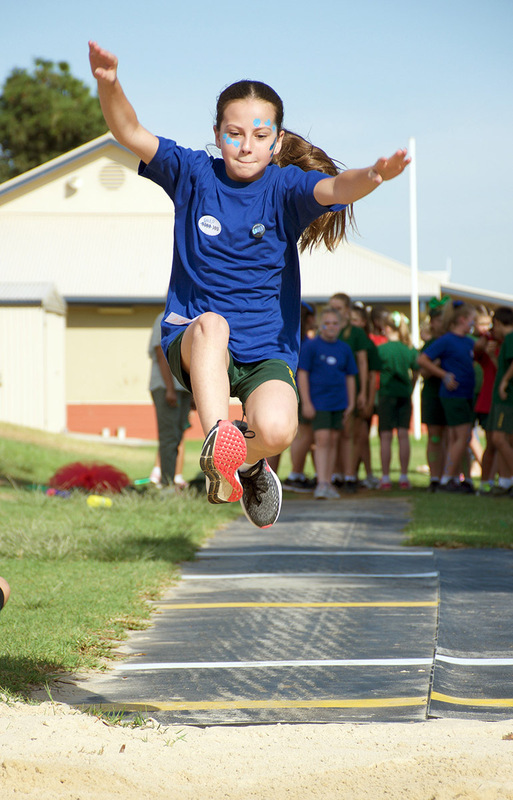 One of the main highlights of the camp was the activity called the Flying Kiwi. The Flying Kiwi is basically a giant swing. Someone is harnessed to a rope while the rest of your tribe holds another long rope. When they run in the opposite direction to you, you get lifted up into the air. It was awesome! Something else that was also good about camp was meeting new people. Outside the house where we stayed there were carpet ball tables and it was just really fun playing with other girls. 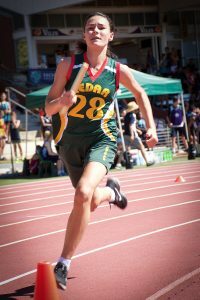 Being new to Cedar College, I didn’t know all of the other girls, but we had lots of fun together. Camp was a great environment because we were in tribes with people we didn’t know, but we got to know them over the three days. Overall it was a great experience and a lot of fun! 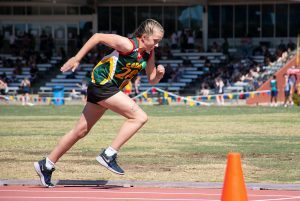 The Port Adelaide Enfield Council has acknowledged the contribution to the community by Cedar students Sarah and Ava, through their participation in our youth leadership group – Youth in Power. This program is a partnership between City of Port Adelaide Enfield and Power Community Ltd., giving young people an opportunity to take a leadership role in their community. 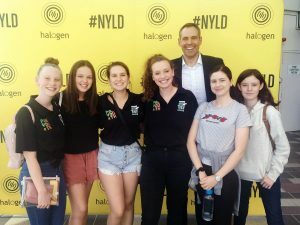 Sarah and Ava both represented their community at the Halogen Youth Conference for National Young Leaders Day 2019. The girls are now involved with organising and delivering an Amazing Race event for SA Youth Week. 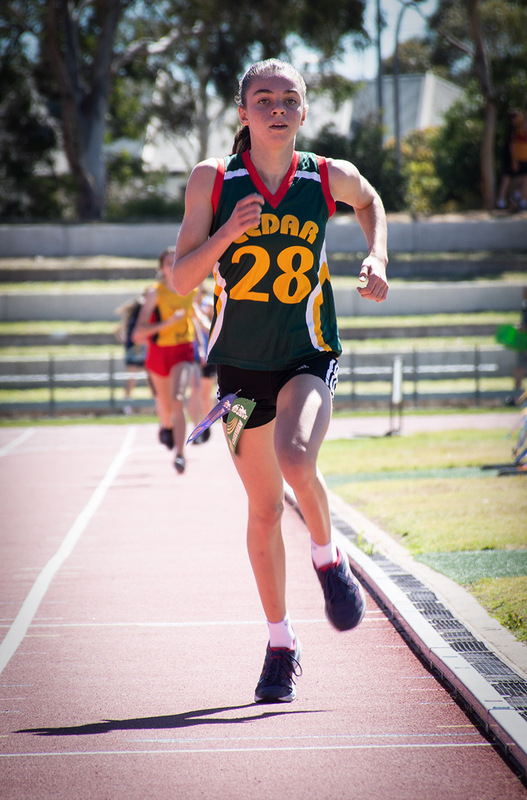 The SACSA Athletics carnival was held at Santos Stadium on Tuesday April 2, in near perfect weather conditions. 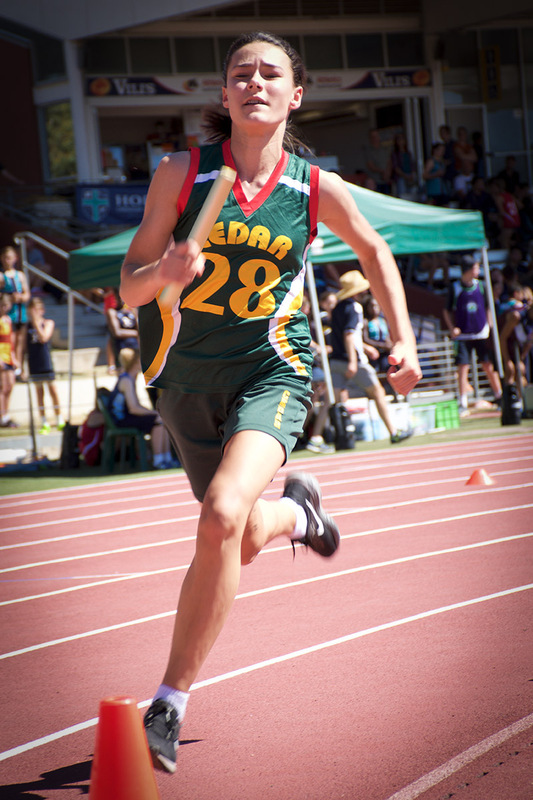 Cedar College sent a team of 65 students, who we all eager and ready to compete. The Cedar team were a few athletes short of a full squad, due to some pre-carnival injuries, but this did not seem to deter the enthusiasm of the team. 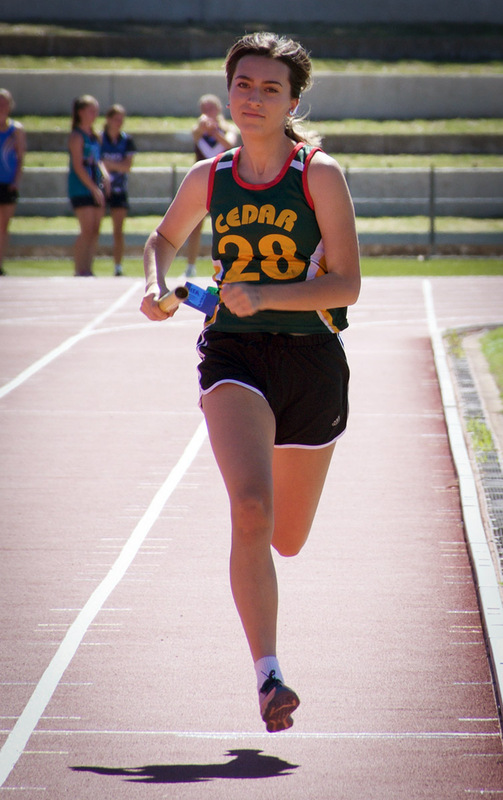 Last year Cedar College competed in Division 2, but moved up to Division 1 this year due to our 2018 win. Our aim for the day was to consolidate our position in Division 1, and that is exactly what we did. 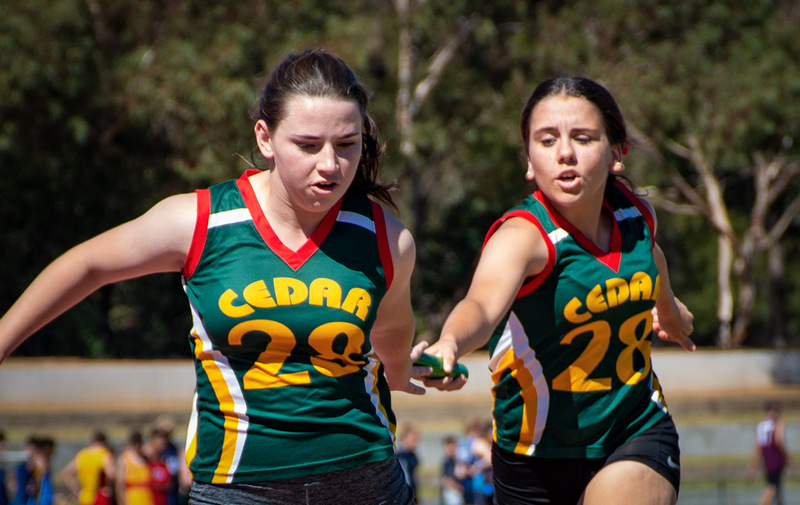 Despite extremely tough competition from King’s Baptist Grammar and Tyndale, who are the biggest schools in the competition, Cedar held their own and achieved some outstanding results across the day. 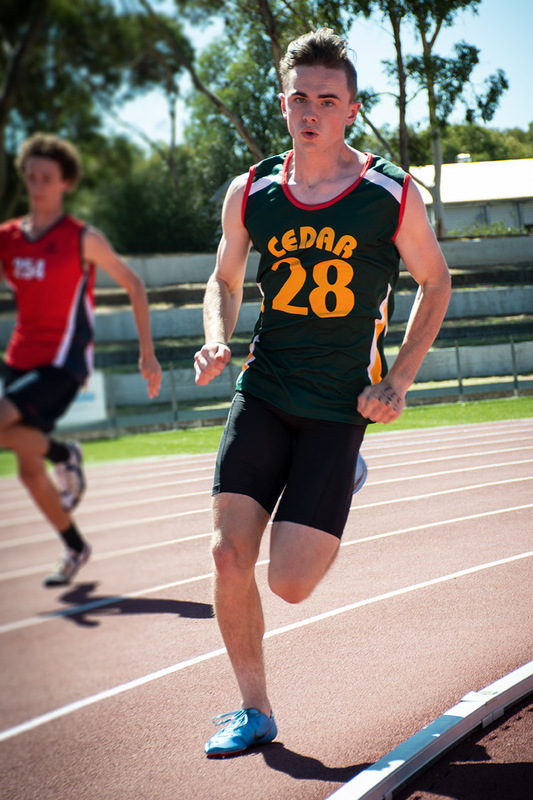 Cedar College students set five new SACSA Athletics records on the day, which was an outstanding achievement. 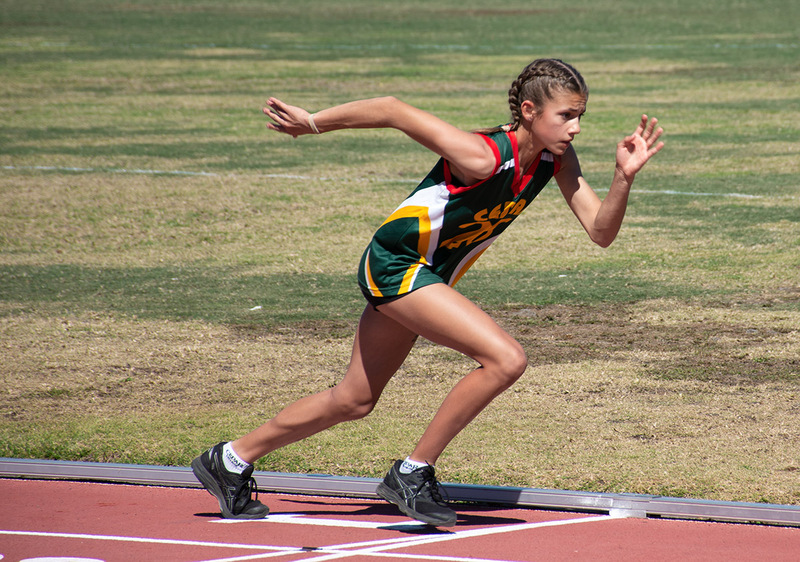 Jayden Chambers set 2 new SACSA records, in the Open Boys 100m and 200m, while Sienna Walsh set a new SACSA record in the under 14 Girls 200m, Maya Matiscak set a SACSA record in the Open Girls Shot Put and Isabel Schultz set a SACSA record in the Open Girls 800m. Overall, Cedar College students put in an amazing effort, and represented their school with grace and humility. Cedar College finished 5th out of all the Division 1 schools, which was an amazing achievement, and ensures that we stay in Division 1 for the 2020 SACSA Athletics carnival.